Missing Person. Please click link for more information. Sheriff Victor Hill. The Clayton County Sheriff's Office needs your help in locating a missing person. Mr. Calvin James Roundtree has been missing since October 9, 2018. Mr. Roundtree is a Black Male of dark complexion and about 6 feet tall. 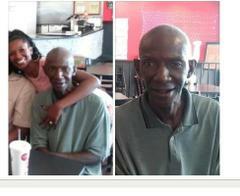 Mr. Roundtree was last seen in the area of Freeman Road in Jonesboro. Mr. Roundtree was last seen wearing a plaid shirt, blue jeans and a plaid black and white coat. Attached is a picture of Mr. Roundtree. If contact is made please contact the Clayton County Police Department at 770-477-3747.